From the smallest daycare to the largest warehouse, Piedmont Protective Services is licensed to design and build a custom system that will satisfy all federal fire codes. Our commercial burglar alarm systems can be programmed to arm automatically each night to ensure that your property never goes unprotected. You can receive opening and closing reports that track all activity on your system. 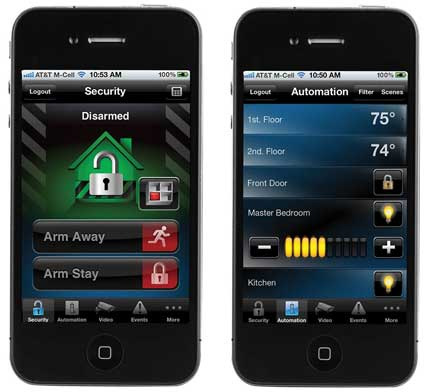 Piedmont Protective Services can combine your burglar and fire alarm systems to save you money on monthly monitoring. Our state of the art intrusion and fire alarm combo systems provide the most comprehensive protection while having a single monitoring fee. From the smallest daycare to the largest commercial facility, Piedmont Protective Services is licensed to design and build a custom system that will satisfy all federal fire codes. You can receive opening and closing reports that track all usage of your system. Piedmont Protective Services can combine your individual burglar and fire alarm needs into one state of the art combo system and save you money on monthly monitoring.